Trident Iceni nears production. 200mph sports car offering 70mpg on 100% biodiesel. 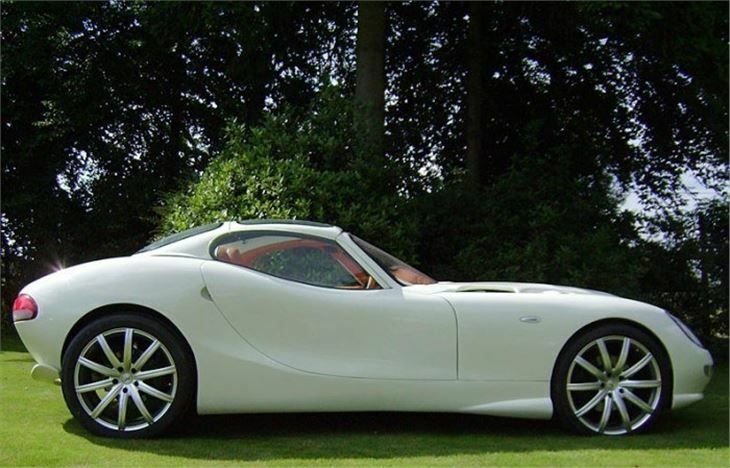 Trident Performance Vehicles have designed and produced a two-seater sports car that can reach over 200mph, get from 0-60mph in under 4 seconds and deliver up to 100mpg*. Quote, "The fantastic fuel economy is achieved through technology called torque multiplication and it can be applied to all diesel cars, buses, lorries and trains. It's available now, requires no further research and development and can make an immediate difference to the amount of emissions diesel vehicles produce. In short, Trident have the solution to what we're told is a huge problem." "The team at Trident has invested £2.3m in the project which has enabled the completion of all the development needed to get the Iceni into production. They're now seeking funds to make this happen and satisfy their growing bank of customers." "*68.9mph at a constant 70mph was the first recorded test at Millbrook Proving Ground. The figure naturally improves at lower speeds – at 30mph, Trident's initial tests returned 108mpg. This is yet to be confirmed but they don't believe in quoting a figure for 30mph as this is unrealistic – unless you drive exclusively in a city." "The Iceni is a traditional grand tourer. With a full tank of diesel, you can expect to travel around 2000 miles without needing to fill up." "The boot has space for luggage and golf clubs – enough for a two week holiday." "The chassis is made from stainless steel and is guaranteed against corrosion for 100 years and the body is made from composite and can therefore never rust or degrade."